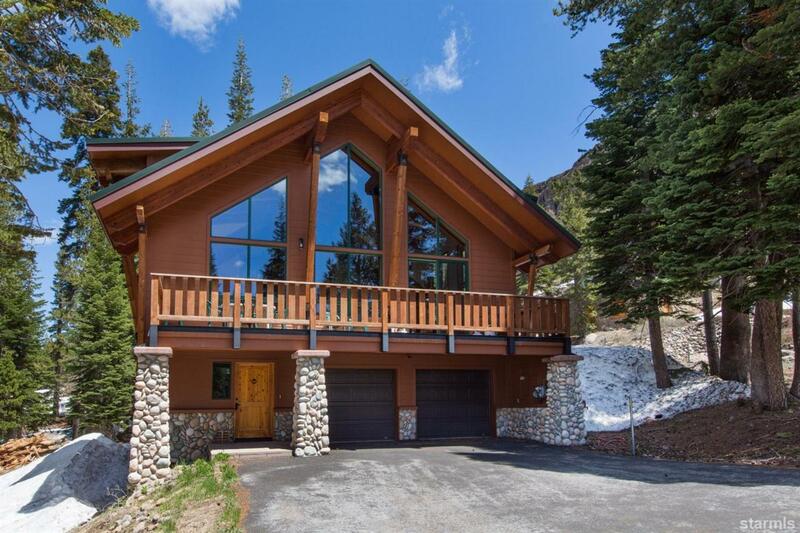 Reminiscent of a Tyrolian Alps chalet, it is Sierra contemporary, yet rugged and relaxing. The hidden beauty of this transcendent home is its design and function. South facing orientation facilitates snowmelt on the level, easy-access driveway, spacious deck with Wausau pavers, covered entry, and oversized two car garage. Southern sun exposure also supplements the zoned in-floor radiant heat system and provides natural light through the soaring windows capturing awe-inspiring views. Wide roof lines handle the deepest Kirkwood snow with ease. The great room is perfect for gathering apres-ski with its dramatic vaulted ceiling, exposed beams and custom-built rafters, wall of glass, and floor to ceiling river rock fireplace. Furnished to sleep 13 with 4 master suites and a bunkroom, it is a pleasure to share with one and all. Listing provided courtesy of Jennifer J Hurley of Kirkwood Mountain Realty.